Cityscape is a landscape of a city skyline. I created this one in the impressionism style. I tried to show how I felt about New York City. Impressionism is about giving your art the feeling of a place, a thing or a person. I think I captured the way it felt the first time I went to New York. It’s wonderful city with a vibrant skyline, turning it into a cityscape was a breeze. Thank you for checking out my artwork, I appreciated you more than you know. I rely on the clicks of good people and find so much inspiration when I see how many people have visited my art website. 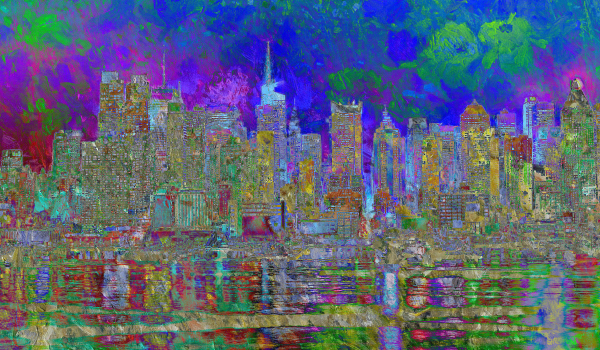 To see more of my cityscape art, visit the Impressionism Art Gallery. Landscape is described as a picture that shows a natural scene of land or the countryside. 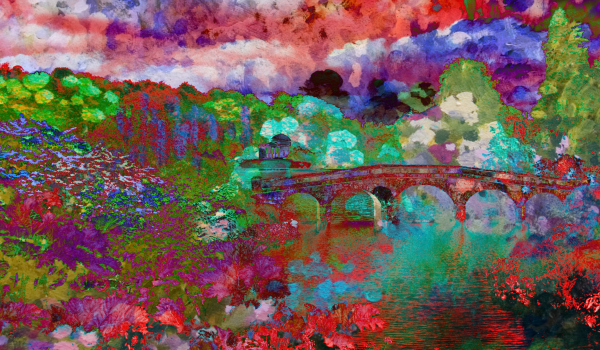 I love making landscapes, makes my mind wander through sunshine and fields of happiness. I’ve been making landscape art for a few years now and I think they just better and better as I learn more and more. Most of my landscapes are digital paintings inspired by actual countryside or a photo that catches my eye. To see more of my landscape art, please visit the Landscape Art Gallery.